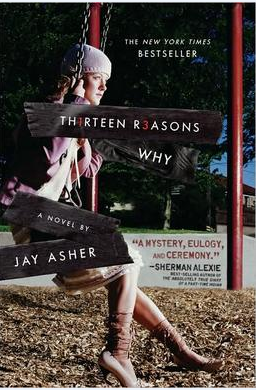 Thirteen Reasons Why by Jay Asher is a phenomenal New York Times Number One bestseller. It tackles the aftermath of teen suicide from the critically acclaimed young adult author Jay Asher - perfect for fans of John Green's The Fault in Our Stars.You can't stop the future. You can't rewind the past. The only way to learn the secret . . . is to press play.Clay Jensen returns home to find a strange package with his name on it. Inside he discovers several cassette tapes recorded by Hannah Baker - his classmate and first love - who committed suicide.Hannah's voice explains there are thirteen reasons why she killed herself and Clay is one of them. If he listens, he'll find out why.All through the night, Clay keeps listening - and what he discovers changes his life . . . Forever.Bestselling US author Jay Asher had the idea for his debut young adult novel Thirteen Reasons Why at a museum. Whilst taking an audio tour, he was struck by the eeriness of the voice in his ear - a woman who described everything he was looking at but wasn't there. You can hear Hannah's tapes at hannahsreasons.blogspot.com.